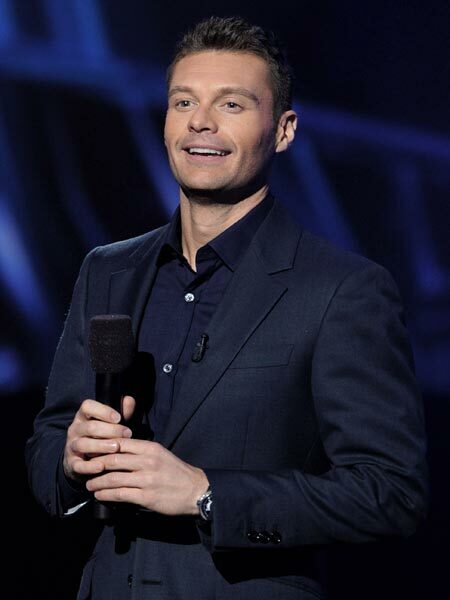 The media man who does it all, Ryan Seacrest, may be taking a big career leap -- to his very own network! The radio personality, "American Idol" host, "E! News" co-anchor and television producer is in talks with entertainment company AEG and top talent agency CAA about uniting to create a new cable TV network. Although development of the potential network is in the early stages, programming content will focus on pop culture, music and lifestyle. Insider sources divulged to Hollywood Reporter.com that if the network is launched, Ryan will continue to work for E!, and content of the new channel will not spark competition with them. Ryan plans to continue to executive produce their reality TV hit, "Keeping Up with the Kardashians" and co-anchor "E! News."